We are a Partner of NetBeans. CROSSFIRE JAPAN is registered HERE. ComponentSource is the biggest market place of Software Products. 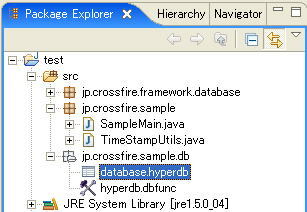 CROSSFIRE O/R's setting file for database is a file named "*.hyperdb". You can put the "*.hyperd" into a source folder( or package). You can generate DDL from the "*.hyperdb". DbFw Generator's setting file for SQL to execute is a file named "*.dbfunc". You can put the "*dbfunc" into a source folder( or package). The following pictiure is "hyperdb.dbfunc" opened with Creator Editror. 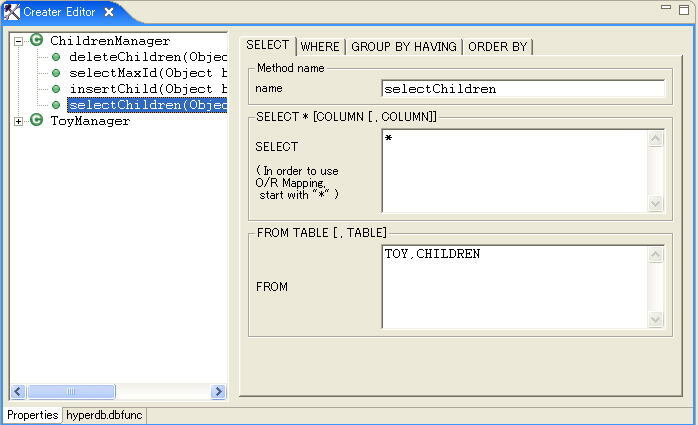 You can generate Java Classes and Methods by setting up SQL with GUI. When you input each field of SQL, the content assist is available. 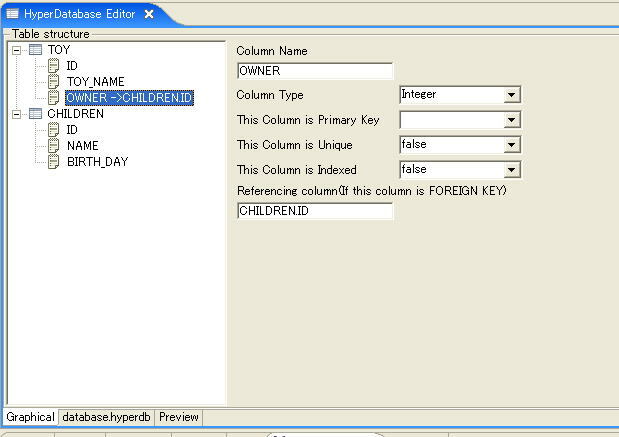 You can see SQL you are editing with HyperDBView. This is a easy example of SQL. The string start with '$' means valuable. And The string start with '@' means subquery. You can put valuables in any field. 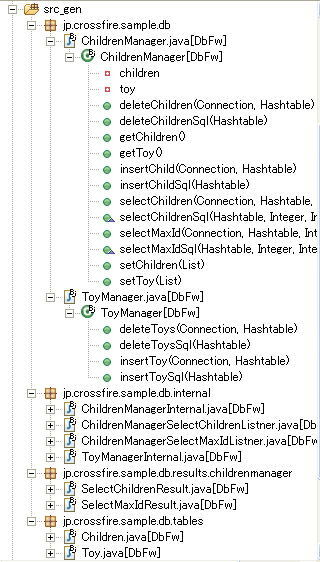 You can also see sample code of with HyperDBView. You can see what runtime valiables to set at a glance.